Tent Style Table Numbers For Wedding Reception Or Other Special Event / Navy Blue Stripes Tent Style Table Number Cards 1 To 40. Dress up your reception tables in classic style. 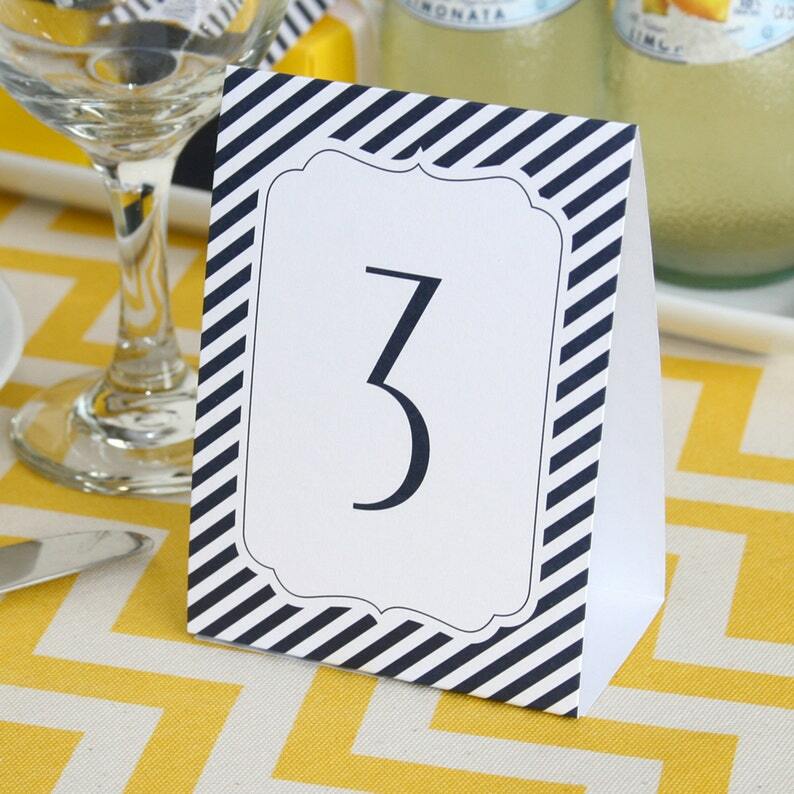 White table number tents are striped in navy and numbered 1-40. This product can not be customized / personalized.